You want fries with that shake…? 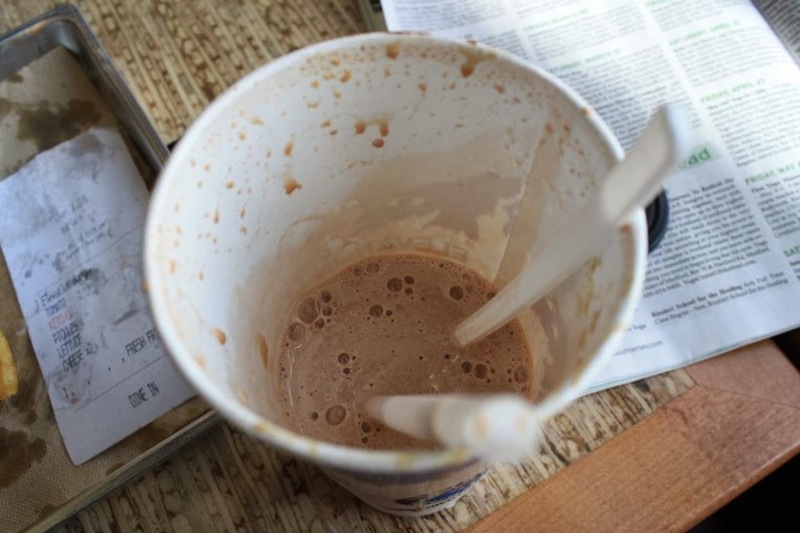 These are shots from 2 weeks ago when my boyfriend and I ate at Elevation Burger. 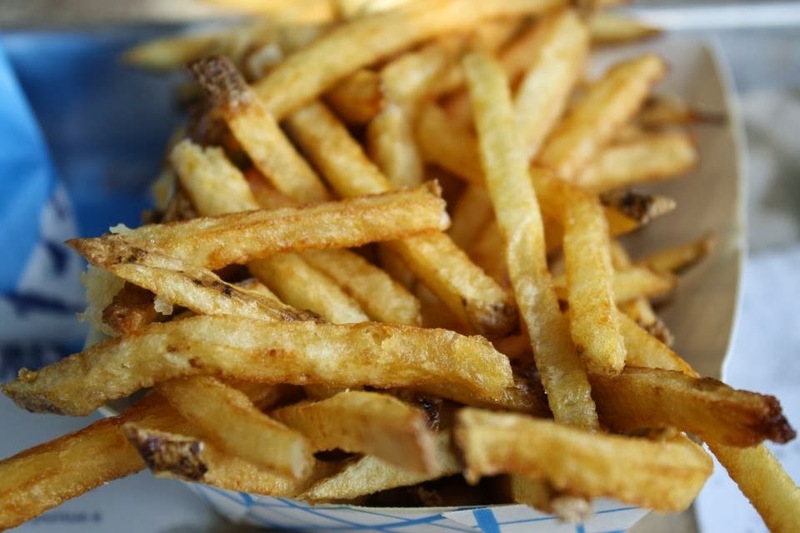 I love french fries, I always eat them before my burger, so I have become a bit of a french fry expert over the years. 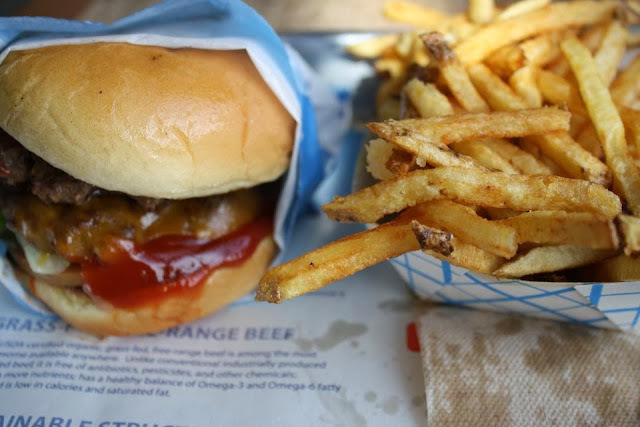 Although I have eaten fries at tons of establishments, the ones here at Elevation Burger are in a league of their own. They are cooked in 100% Olive Oil. This sounds like a great idea, because it is supposed to be a healthier option, but they were insanely oily. EXTREMELY oily. I am not one of those people who pats their food with a napkin before eating, but there was no other alternative. After going through several napkins, I just couldn't salvage these fires. Although they looked absolutely delicious, I didn’t care for them at all. On the other-hand, the burger was very good! They advertise that the burgers are made to taste like burgers from home and they really did! 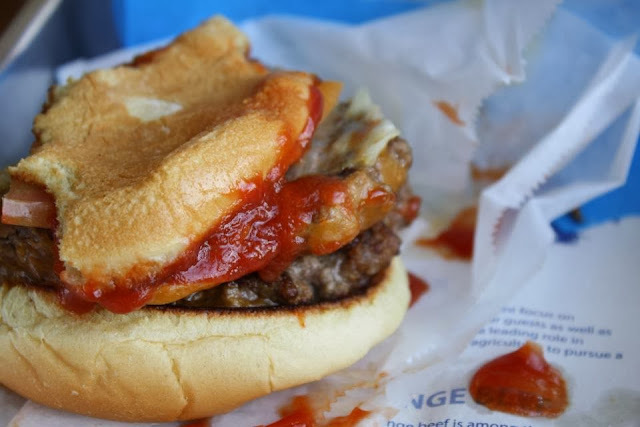 This tastes like a classic mom-and-pop burger from a diner, which is a fantastic feat for a fast food joint. I may have liked the burgers, but so far it has been two years and I have never returned. Those greasy fries were a major turn off. I could blog about food forever.